OTTAWA—During Prime Minister Stephen Harper’s recent visit to China, the Subcommittee on International Human Rights unanimously passed a motion condemning the Chinese regime’s practice of forced organ harvesting from prisoners of conscience. Moreover, it “condemns and calls for an immediate end” to this practice. Previously, the committee had held two hearings during which investigators presented evidence of the forced harvesting of organs from Falun Gong adherents and other persecuted groups in China. Earlier this year, international human rights lawyer David Matas and former Secretary of State David Kilgour presented 52 types of evidence that Falun Gong prisoners of conscience in China are being killed for their organs. 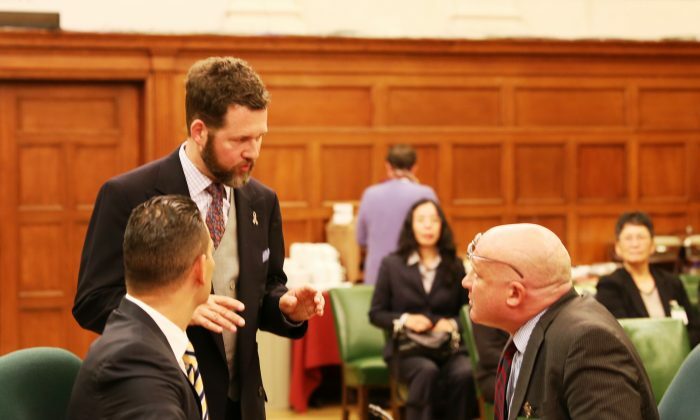 In October, the committee heard from author and researcher Ethan Gutmann and Dr. Damon Noto of the NGO Doctors Against Forced Organ Harvesting. “If you follow the timeline of China’s transplant boom and you compare it with the start of the persecution of Falun Gong, which occurred in 1999, the timelines correspond almost exactly,” Noto told the committee. Gutmann, who put seven years of research into his recently released book “The Slaughter: Mass Killings, Organ Harvesting, and China’s Secret Solution to Its Dissident Problem,” said he estimates that half a million to one million Falun Gong adherents are incarcerated at any given time. “By 2008, approximately 65,000 Falun Gong practitioners had been harvested for their organs,” he told the committee.